We are connected to persecution because we are connected to the church universal of Jesus Christ. Over 75% of the world's population lives in areas with severe religious restrictions. Christians today are the most persecuted religious group in the world. (The Pew Research Center) According to the United States Department of State, Christians in more than 60 countries face persecution from their governments or surrounding neighbors simply because of their belief in Jesus Christ. We are connected to persecution because we are connected to the righteousness of Christ. 12 Indeed, all who desire to live a godly life in Christ Jesus will be persecuted, 13 while evil people and impostors will go on from bad to worse, deceiving and being deceived. Paul doesn’t say that all those who claim Christianity will be persecuted; rather all who desire to live a godly life in Christ Jesus will be persecuted. We rejoice when we see someone come alive in Christ and live his righteousness, but the world is provoked to anger when one is alive in Christ and desires righteousness. Paul explains this principle: 15 For we are the aroma of Christ to God among those who are being saved and among those who are perishing, 16 to one a fragrance from death to death, to the other a fragrance from life to life…. 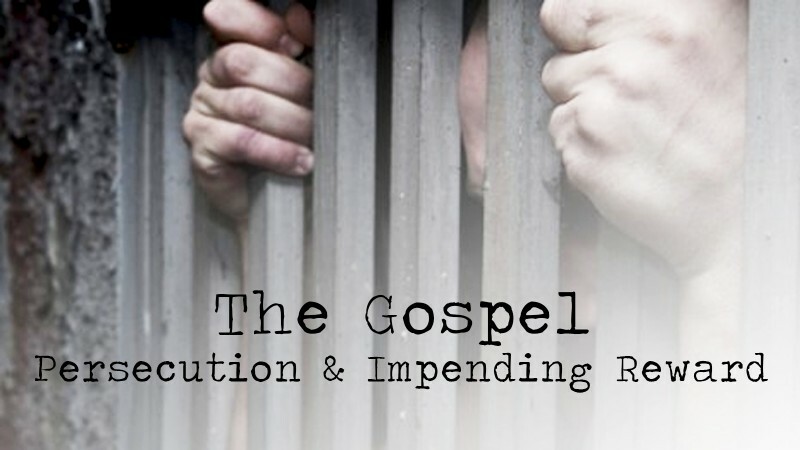 What brings people to persecute others simply because they reveal godliness in Christ Jesus? The nature of the unsaved and the righteous nature of Christ are so polarized that conflict against righteousness is inevitable. It is the nature of unrighteousness to harass and malign the righteous, especially when their sinfulness is exposed. Example: Jesus said, 13 No servant can serve two masters, for either he will hate the one and love the other, or he will be devoted to the one and despise the other. You cannot serve God and money.” 14 The Pharisees, who were lovers of money, heard all these things, and they ridiculed him. 15 And he said to them, “You are those who justify yourselves before men…. The Pharisees ridiculed Jesus when their sinful natures were exposed. They were unrighteous in their love of money; it was their god. They ridiculed and persecuted Jesus because his words of life and truth exposed their sinfulness and they were attempted to justify themselves. The same thing happens to us when we desire honesty, integrity, compassion, purity, mercy, love and the like. If you put Christ first, surrendering yourself so that he lives through you and you choose to live in him, then you’ll face opposition at work and school, among supposed friends and family and even strangers. Christians endure persecution not for persecution’s sake, but for the sake and honor of Jesus Christ. Blessed are those who are persecuted for righteousness’ sake… on my account. (Matthew 5:10-11) We desire to live righteously not by our own means, but by the means of being in relationship with Jesus. In that relationship, his will becomes our will and his ways become our ways. Based on our relationship with Jesus, we have a desire to live righteously and the means to live righteously. But a Christian’s life of righteousness will provoke one of two results from others—persecution or salvation. Either a person will hate the light or be drawn to the light. If you are not experiencing a level of persecution or experiencing people coming to faith, then it is likely that you’re not exposing people to the light of Christ. Persecution is meant to move your focus from the eternal rewards to temporary losses; don’t let it. Here is a biblical fact: the greater the persecution, the greater the reward of the persecuted.